The Indian government recently announced the first 20 cities for the smart cities program. As India's growth accelerates, cities are projected to create an INR 73 trillion ($1.1 trillion) investment opportunity over the next 15 years. With the recent Paris Climate Agreement, countries are even more focused on low carbon development in cities. 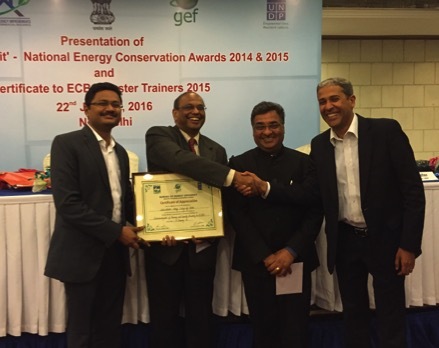 Nationally, the Bureau of Energy Efficiency (BEE) is motivating action by recognizing leadership in building efficiency in cities across India. Locally, the state of Telangana and capital city of Hyderabad are moving forward with a new compliance measures for building efficiency. Since buildings consume 30% of India's electricity and with rapid development, building efficiency needs to be at the core of a smart urbanization strategy. Energy efficiency in buildings can translate into tangible economic gains, and offers several benefits for India. It allows more efficient use of existing energy resources, providing building owners immediate cost savings on energy bills. Efficiency also helps avoid the need to install additional electricity generation capacity, sparing scarce capital investment for use toward more pressing needs, such as providing energy access for over a quarter of a billion Indians without access to reliable electricity. In order for Indian states and cities to implement energy efficiency, building codes such as the energy conservation building code (ECBC) - a code that sets a minimum energy efficiency performance standard for buildings - need to be implemented successfully, with adequate capacity building efforts and robust compliance mechanisms. BEE is also spearheading other initiatives, such as setting up state level ECBC cells, and a mobile phone app for use by building designers to ensure code compliance. With implementation bottlenecks being addressed in a comprehensive manner at the national, regional and local levels, BEE is leveraging the support of all the technical and civil society experts and working towards strong code adoption across the country. NRDC with partners, the Administrative Staff College of India (ASCI) have engaged on national building efficiency policy and market transformation through case studies and national level workshops in New Delhi. NRDC and ASCI are also piloting a new compliance program for efficiency building codes in Andhra Pradesh and Telangana. These two states are pioneering code adoption, and place special emphasis on strong compliance and enforceability of ECBC. ASCI, with support from the United Nations Development Programme, has also trained over 300 state officials, real estate developers and architects on the ECBC. NRDC and ASCI successfully supported the state of Telangana in passing into law state-level energy efficiency codes as mandatory requirements for all new large commercial buildings in 2014. The state is now working to strengthen compliance with a pilot program in Hyderabad with the support of NRDC, ASCI and key experts. The compliance program revamps the building approval process and includes engaging with city staff, local real estate developers, architects and others. The Telangana ECBC Technical Committee, headed by the Special Chief Secretary for municipal administration and urban development, meets every quarter to assess progress and set milestones for effective implementation of the code. The 300 state officials, real estate developers and architects already trained under the BEE program are a boost to the state's building code implementation capacity. Over a dozen Indian states and key cities have taken steps toward incorporating energy conservation into by-laws, and made progress towards mandating the ECBC under their jurisdiction. Strong compliance in cities with building efficiency codes coupled with a shift by real estate developers towards efficient commercial buildings could generate sufficient savings to power over 350 million Indian homes. 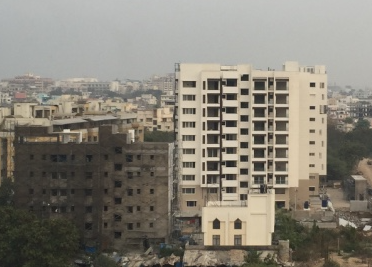 The pilot building code compliance project in Hyderabad could serve as a model for smart cities across India and a chief mechanism for curbing pollution.